The Hon. Harold Martin Lancaster was a Member of the United States Congress from 1987 to 1995, serving on the Armed Services, Small Business, Agriculture, and Merchant Marine & Fisheries Committees. During his Congressional career, Rep. Lancaster was instrumental in passing legislation to create the TRICARE health program for military personnel, families and retirees. He also successfully worked on legislation to expand rural healthcare. Also during this time, Rep. Lancaster represented the Congress at the Chemical Weapons Convention negotiations in Geneva. In 1995, President Bill Clinton appointed Mr. Lancaster as Assistant Secretary of the Army (Civil Works) with responsibility for overseeing the U.S. Army Corps of Engineers. In this capacity, he was primarily responsible for policy development and advocacy for the Army Corps of Engineers before the Office of Management and Budget, the White House, and the Congress. In 1997, Mr. Lancaster decided to fulfill a lifelong commitment to improving the education system, becoming President of the North Carolina Community College System. As President, he sought to increase state and private funding and strengthen the system’s role in high-tech workforce training. 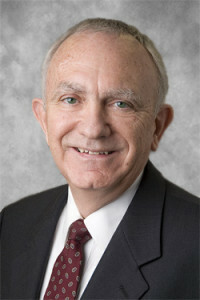 In the summer of 2003, he was elected Chair of the National Council of State Directors of Community Colleges. In May 2011 Her Majesty Queen Elizabeth appointed Rep. Lancaster an Officer of the Most Excellent Order of the British Empire. The award was in recognition of his role to promote workforce development in Northern Ireland.